Paul deMarrais, 63, has had a long and varied career in art. 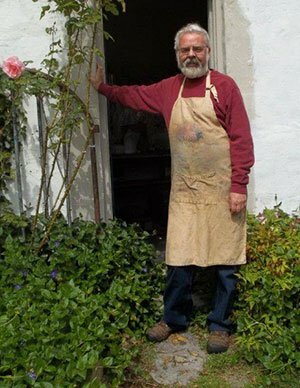 For many years he focused on pastel painting ‘en plein air’, sitting out in the Tennessee landscape he loves. In the past seven years, he’s been perfecting his own line of oil sticks, oil paint in a stick form. The last several years he has been painting with this new medium and showing other artists how to use his oil sticks in their own work. A popular workshop instructor, Paul has taught many workshops around the Southeast and has enjoyed working with art teachers through the Tenn. Art Educator’s Association. He makes his home in Kingsport, Tenn. with his wife Pam and assorted friendly cats and dogs!